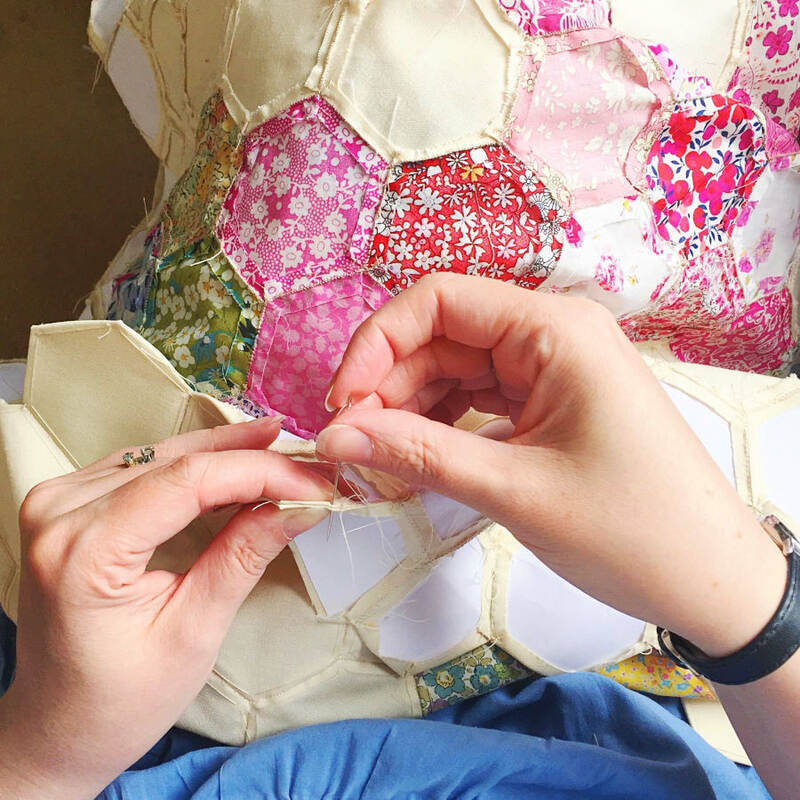 Learn how to create a patchwork quilt using the centuries old English Paper Piecing technique, in this beginners workshop run by textile designer Kate Marsden. 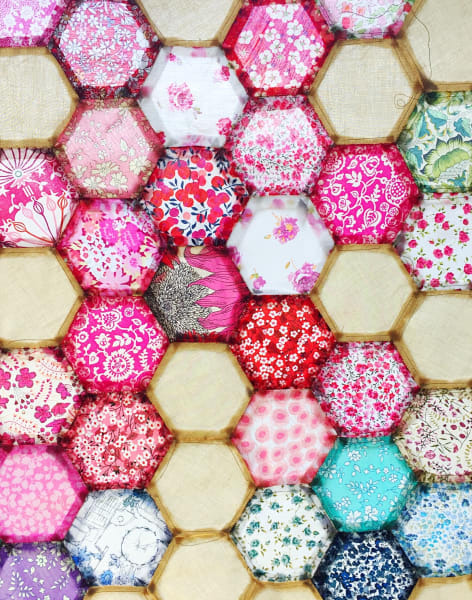 In this workshop, Kate will teach you how to prepare your fabrics and stitch them together to make a traditional hexagon quilt top. You will come away with a small pieced section of patchwork and the skills you need to continue with your project at home. English Paper Piecing is a slow hand sewing technique, which can be tricky to master, and the creation of a full quilt is often a labour of love. However by the end of the class you should be raring to get started on that new family heirloom! No previous patchwork or quilting experience is necessary, however it will be helpful (but not essential) if you can thread a needle and complete very basic hand stitches. 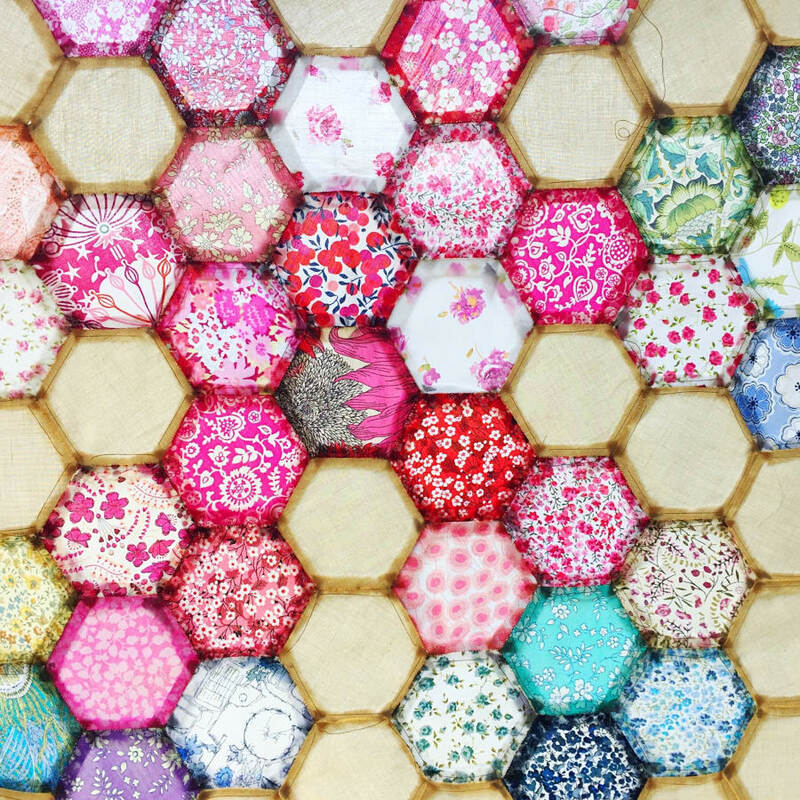 Your tutor Kate is a textile designer, illustrator and blogger based in South London. Kate's work is inspired by the city around her as well as her travels, and her style leans towards that of the 1950s and 60s. Kate's designs feature on fabrics, home furnishings, stationery and accessories. She produces art prints, works to commission, and loves teaching workshops and sharing her passion for fabric! In addition, Kate currently teaches Fashion & Textiles at a local 6th form college. English Paper Piecing is thought to date back to the 1770s but quilts have been found in records dating as far back at the late 15th century! Really enjoyed this class. I went in as a total beginner and came out feeling confident about my new patchwork skills. The teacher broke everything down into easy steps, was attentive and the class just sped by! I would have preferred to take a smaller but completed item. A really nice session in a lovely studio with a friendly, helpful tutor. A great, quick introduction to a simple technique with limitless possibilities. Three ingredients are needed for this class; creativity, patience and cute fabrics- I’ve been given all when I attended and I had a great time! Creative Happy London studio hosts a lot of different classes, and all teachers are nice! Really good course. Kate, the tutor was very helpful, patient and gave us lots of useful tips. Thoroughly recommend. Creative Happy London is an artist collective offering art and craft classes from a beautiful studio in Camberwell, South London. The techniques they teach require no previous experience or specialist equipment, so that it's easy for you to continue practising what you have learnt at the studio once you're back at home. Creative Happy London believe everyone is creative at heart; join one of their talented teachers for a workshop and take the chance to unleash your inner artist! The workshops currently on offer include linocut printing, leather jewellery making, metal foiling on paper and fabric, paper-cutting, lampshade-making and decoupage. All materials are provided, but if you want to use fabrics you have at home you are very welcome to bring these along and use them.